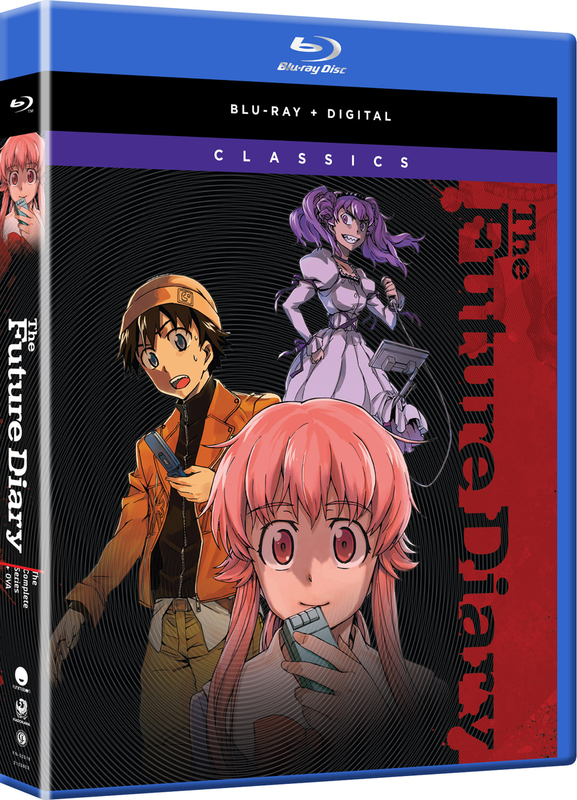 The Future Diary contains episodes 1-26 plus the OVA. Yukiteru is an introvert who quietly observes life and jots down its mundane events on his cell phone. Suddenly, new entries that he didn’t write appear. It turns out that his cell is a Future Diary, a device that predicts the future. Knowing the future is great except for one catch—Yukiteru and eleven others are part of a survival game. The goal of the game? Eliminate the other diary holders. Special Features: Episode 05 Commentary, Episode 13 Commentary, Episode 20 Commentary, Episode 23 Commentary, Omake #5 Yomotsu Hirasaka (Yoshihisa Kawahara Version), Omake #10 Minene Uryuu, Masumi Nishijima (Clear Dialogue Version), TV Spots, Promotional Videos, U.S. Trailer, Textless Opening & Closing Songs, Trailers. Engaging, Fun, and goes a bit deeper than you might think. Wow! What a ride!! Listen. Without giving anything away, I have to keep this simple. If you aren't afraid of a little fanservice used appropriately, and some pretty serious wetworks....you just have to watch this, that's all there is to it. So much fun. Well done.